Located within walking distance of the beach, this Jersey Shore vacation home for a Manhattan-based couple rises to an ocean view and has plenty of space for family and friends. 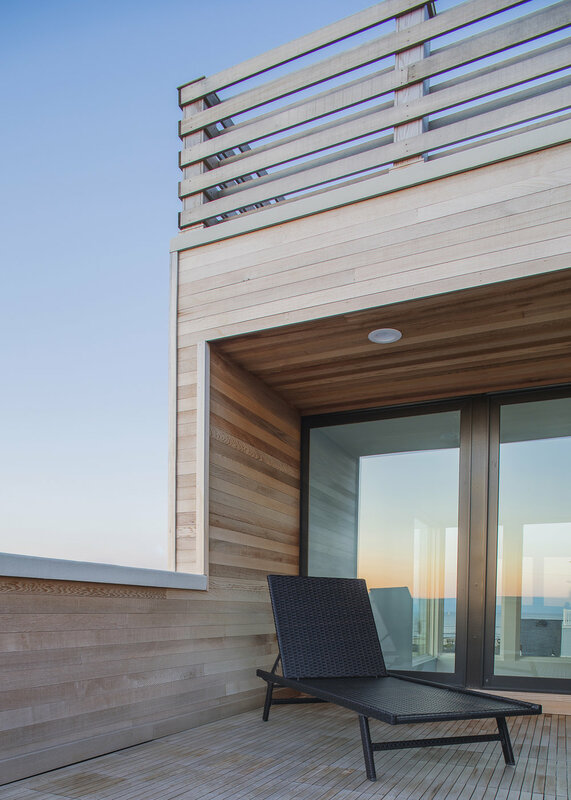 Because the city's zoning code limits all residential construction to two stories, the goal of the design was to create the best possible views of the ocean while respecting the constraints imposed by the local government. For this reason, the second floor and above mezzanine level became critical to the success of the design. Further, because this house would be used primarily during the warmer periods of the year, it was necessary to create comfortable and functional outdoor spaces. 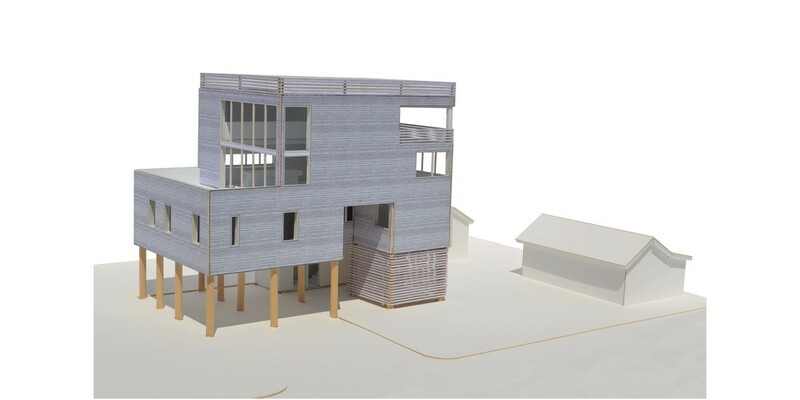 The house's form is an expression of its programmatic distribution. 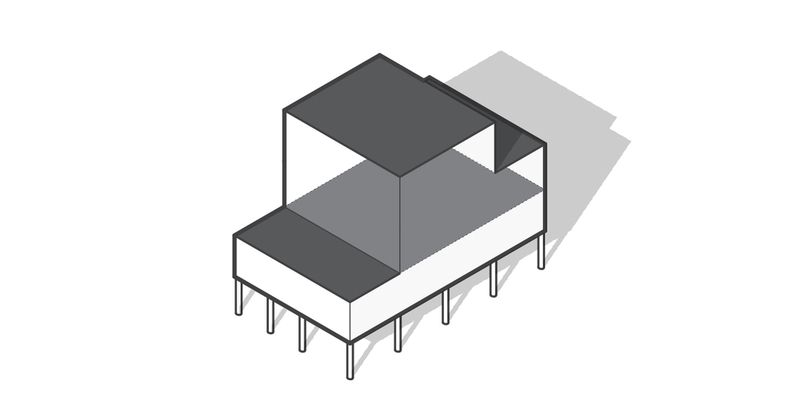 The horizontally-oriented first floor massing contains private spaces such as bed and bathrooms. The larger cube-like massing which sits atop the first floor contains shared spaces such as the living and kitchen areas. 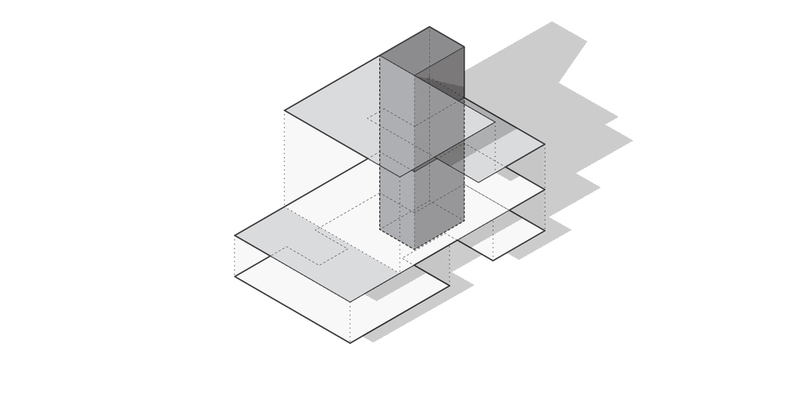 The vertically-oriented massing that is offset from the other two contains the stairway and provides access to the ground level. The overall result is a terraced structure that offers large outdoor spaces that are perfect for sunbathing and cookouts. 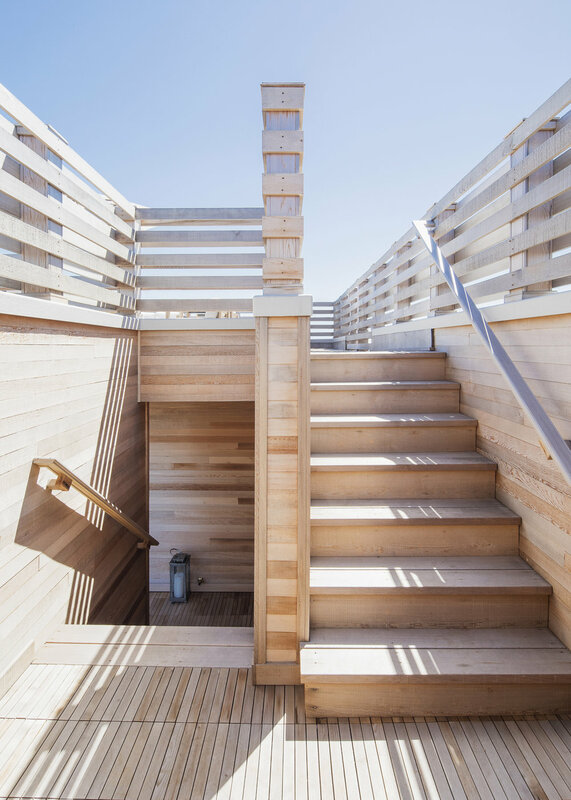 While the house's form is clean and modern, its cedar board siding serves to tie it into a well-establish beach house typology. 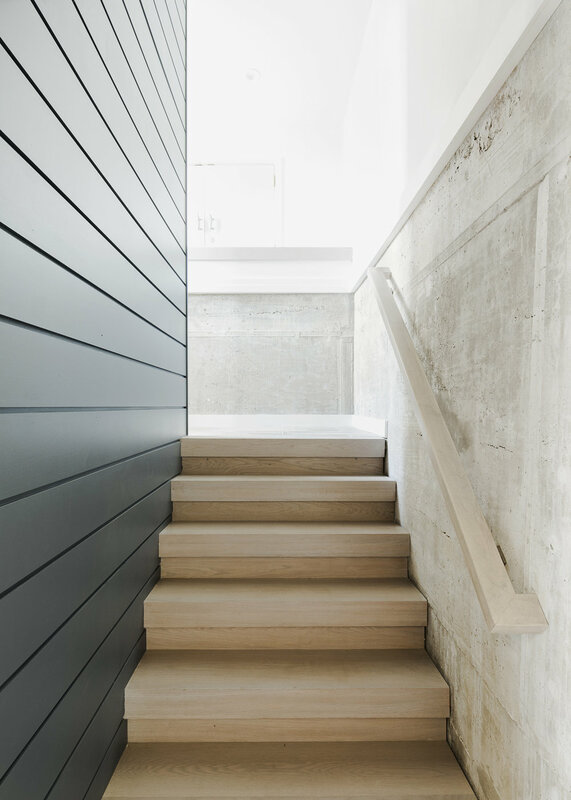 Perhaps the most important space in the house is the second floor living area that extends out to form the sun deck and up to define the mezzanine level. A series of double-height windows capture the morning sun's rays. From this level the ocean is visible over the tops of nearby houses. 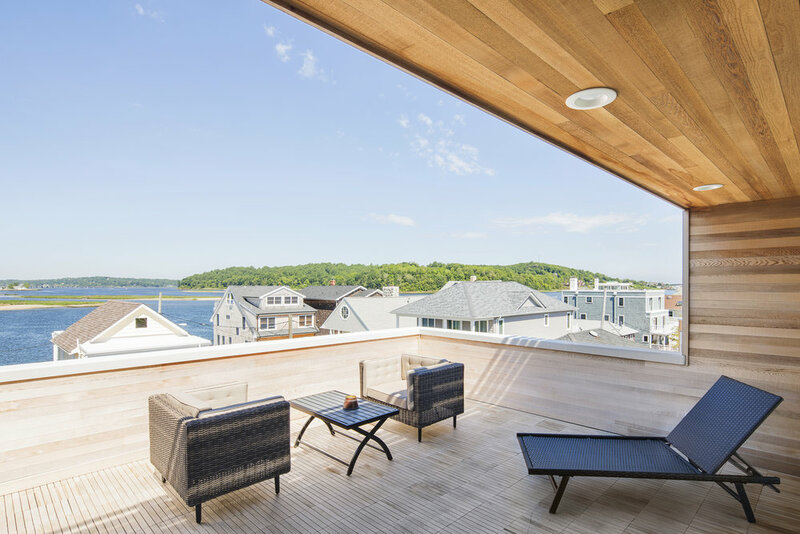 The more-secluded mezzanine level connects the second floor to the house's roof deck. It is from this uppermost level where the best view of the ocean can be seen.